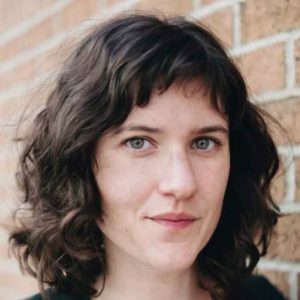 Two weeks ago Canadian journalist, Nora Loreto, was at the centre of a social media storm for having tweeted that social inequality plays into the disproportionate expressions of grief in Canada, in response to the tragic Humboldt Broncos’ bus crash. Selective portions of Loreto’s tweets were amplified by right-wing blogs and politicians, including United Conservative Party of Alberta leader Jason Kenney and even Sarah Palin. Neo-nazi and white nationalist groups, who have a history of promoting Islamophobic, anti-Semitic and racist rhetoric, participated heavily in the campaign against Loreto. The attack was even used to fundraise for the Alberta-based far-right website Rebel Media. The torrent of abuse that ensued resulted in almost 30 million Twitter impressions alone, and included public and private messages with slurs, and threats of violence and death toward her and her family. The messages included language that was sexist, transphobic, homophobic, ableist, racist and anti-Indigenous. Despite the fact that Loreto is not Jewish, she also received anti-Semitic abuse. In light of this extreme harassment and anti-Semitism by the far-right on social media, IJV announced its plans to closely examine what has clearly become a targeted campaign against Loreto. The investigation will span different social media platforms to identify anti-Semitism used against Loreto, including the geographic and organizational origins of these messages, and will examine connections to broader attacks on progressive organizers.